A poppy to remember the fallen. Drawn by my super talented Eldest. 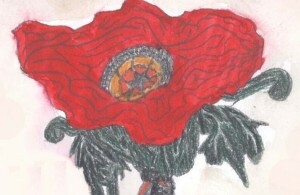 This entry was posted in Family life, Where I talk about stuff and tagged Remembrance Sunday by Trudy K Taylor. Bookmark the permalink.